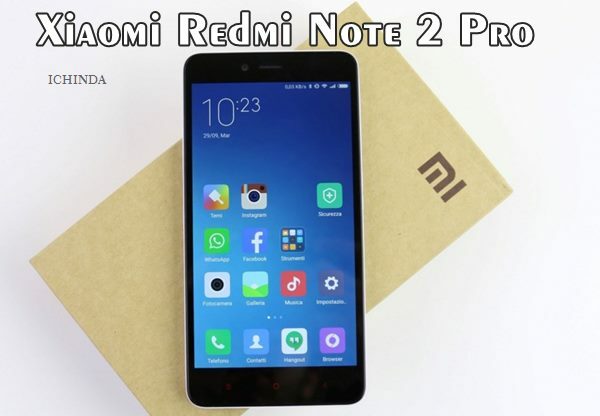 To counter Lenovo in budget phone market, Xiaomi soon going to launch the worthy successor of Xiaomi Redmi Note 2 as Xiaomi Redmi Note 2 Pro. According to Xiaomi Redmi Note 2 Pro with Octa-core SoC, Finger print ID, 5.5”-Inch Full HD display, 13-MP+5-MP Camera will launch by the end of 2015 will be priced at $157(999 Yuan/Rs 9,999 in India). Xiaomi will also launch Xiaomi Mi5 by This Dec. 2015. According to latest leaks, The all new Xiaomi Redmi Note 2 Pro will support cheaper Finger print ID, Dual-SIM(GSM+WCDMA), 4GLTE, NFC, Wi-fI, Bluetooth come with a bigger 5.5-inch Full HD 2D glass display with resolution (1080×1920 pixels and gorilla glass 3 protection and full GFF lamination offers you crystal clear wide-angle view from every angle perfect for watching movies, playing games, reading e-books. Xiaomi Redmi Note 2 Pro sporting a powerful 13-MP rear camera with f/2.2 aperture and dual-LED flash and Sony CMOS sensors(Sony IMX214 with zero shutter lag) perfect for low light shooting and 5-MP rear camera for video calling and selfies will powered by a powerful 36,00mAh battery. It’s predecessor Xiaomi Redmi Note 2 is available in China for CN¥799 (£79/$125/ Rs 8,136) but yet to launch globally. Xiaomi Redmi Note 2 support Dual-SIM(GSM+WCDMA), 4GLTE, NFC, Wi-fI, Bluetooth come with a bigger 5.5-inch Full HD 2D glass display with resolution(1080×1920 Pixel) and gorilla glass 3 protection powered by a powerful 64-bit Snapdragon 410 (MSM8919) processor offers you superior graphics and gaming experience, boosting 3D interfaces, colors and textures and run on Android 4.4 KitKat OS along with MIUI 6.0 on top sporting a powerful 13-MP rear camera with f/2.2 aperture and dual-LED flash and Sony CMOS sensors(Sony IMX214 with zero shutter lag) perfect for low light shooting and 5-MP rear camera for video calling and selfies will powered by a powerful 30,00mAh battery. At last few honest word, Xiaomi Redmi Note 2 Pro is the dream gadget for budget phone lovers. What you think? Please stay tuned for more updates.